443 Broadway, Financial District, San Francisco. That was the address to the Mabuhay Gardens, a DIY punk + concert venue nestled amongst plentiful striptease clubs. It was a punk palace of sorts, housing many acts throughout the late 1970’s and into the 1980’s, including punk legends like the Dead Kennedys and Black Flag. But before housing the Bay Area punk scene, Mabuhay Gardens was originally a Filipino restaurant and club owned by Ness Aquino — it was only in 1976 when Ness was approached by a man named Jerry Paulsen of Psyclone Magazine, who envisioned Mabuhay Gardens as a perfect destination to throw shows. Concurrently, Ness entered an agreement with promoter Dirk Dirksen to start booking punk and local Bay Area bands a few nights a week, officially marking the humble beginning of San Francisco’s most prominent, punk/DIY venue. During the later years of the 1970s, Paulsen began promoting bands on a regular basis with the intention of showcasing artists to intrigued record executives. These DIY punk shows in Ness’ restaurant grew increasingly popular, garnering enough support to become a daily occurrence, booking several bands upwards of 6–7 days a week — many local Bay Area punk and new wave bands saw the Mabuhay Gardens as their DIY haven, a chance to gain exposure and perform for an energized crowd that would soon mobilize the punk scene for years to come. 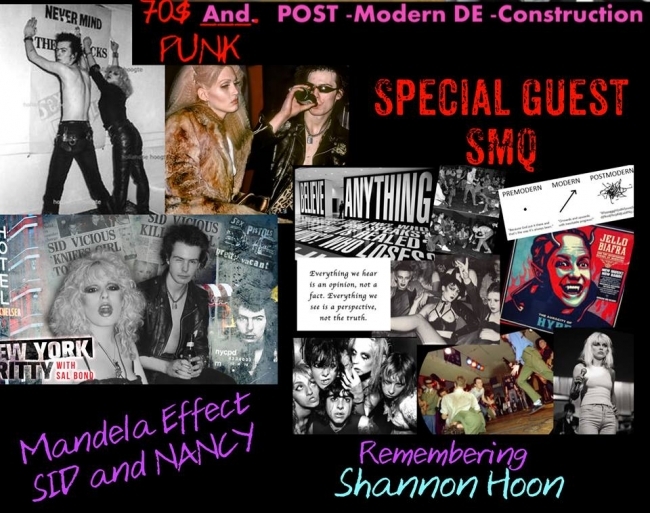 And after only a year of throwing shows and establishing Mabuhay as a punk rock palace, Ness’ venue (with particular help from Dirksen), became an important venue for punk culture in the same ways that the Filmore helped shape commercial rock. The sheer uniqueness of Mabuhay’s punk culture, particularly the perseverance of its humble, free-for-all mentality in an industry dominated by elitist forces, served as an inspiration for Vale’s punk magazine Search & Destroy. With only 11 issues published between the years 1977–1979, Search & Destroy perfectly complemented the cultural revolution brewing in the Mabuhay Gardens by featuring interviews, photographs, and artwork of the punk youth rebellion. Vale kept his finger on the pulse of the emerging punk movement, following up-and-coming artists such as Iggy Pop, Dead Boys, Devo, and The Clash who we now acknowledge as influential punk forces. Unsurprisingly, these same artists made appearances at the Mabuhay Gardens — in this sense, Vale’s magazine was truly shaped by his nights spent at 443 Broadway, documenting the mass, rebellious energy of such a small, thriving community. The height of the Mabuhay Gardens, unfortunately, was as fleeting as the punk scene it helped cultivate. During its 10 year run, Dirksen was able to showcase local and national acts spanning from the Dead Kennedys to the Ramones to Devo. Jello BIafra himself, leader singer to the Dead Kennedys, noted that Dirksen “stuck his neck out and had the sense to make the shows all ages, which allowed me to get the Dead Kennedys off the ground, since I wasn’t 21 when we started.” And after being so immersed in the underground punk movement for a short 3 years, Vale himself witnessed the mainstream media catch onto punk music as it made its way into the nation’s limelight. In response to the idea that “punk is dead,” V. Vale simply thinks it died when it ceased to be a strictly underground and DIY community. As more and more punk bands gained national recognition, Vale grew disinterested in continuing Search & Destroy. But here we have two contending views on the punk movement that are hard to reconcile — Biafra, who is thankful that Mabuhay Gardens helped thrust Dead Kennedys out of the strictly DIY world and into the greater music industry — and Vale, who no longer felt the same raw, inspiring energy of the punk movement when it gained national clout. So in retrospect, what was the role of the Mabuhay Gardens? What is the role of any DIY venue? V. Vale himself seems to have given up on exploring how the DIY music scene has continued in California today, but he seems hopeful that a cultural revolution can be started by any single individual who is passionate enough. He remarked that all you need is a cheap location to house a DIY community, and the rest is history. So, enter 247 S Main St, Downtown, Los Angeles. The Smell. Founded by Ara Shirinyan, Jarrett SIlberman, and Jim Smith in 1998, The Smell is one of the few all-ages performance spaces in Los Angeles. When the other original founders backed out several years after The Smell’s formation, Smith was left with the burden of maintaining The Smell on his own, a hard feat — seeing as its downtown location requires a lot of constant work and inspection — for one man to accomplish. But Jim Smith molded the venue into a communal atmosphere, encouraging locals of all backgrounds to volunteer their help and keep the place going. This volunteer-run system caught the attention of many eager individuals from the greater LA area who were hoping to contribute to the revival of LA’s DIY culture — and so the venue continued to thrive, serving as a community hub for all forms of music and art, bringing together all types of individuals within its characteristic brick walls. Despite being stationed nearly 400 miles south of Mabuhay Gardens, and opening over a decade after Mabuhay’s final days as a punk venue, The Smell’s ethos has direct ties to Jerry Paulsen and Dirk Dirksen’s 1977 punk palace. The parallels are striking, but not unusual given the DIY nature of both venues — The Smell, like Mabuhay, values the nature of all-ages events, and has granted a platform for all different types of artists/performers to gain exposure. At The Smell, Jim Smith makes it easy for any artist to book a show as long as they’re willing to volunteer several hours in exchange for a set-time. After you’ve committed to your volunteer work at The Smell, all that’s left is approaching Smith for a show date. If you’ve expressed any amount of dedication to the venue as a whole, Smith will hand you the stage. Smith’s way, then, has always been perfectly disorderly, leaving room for anyone — including countless performers still in high school — to partake in the DIY community. Furthermore, Smith’s informal guidelines for booking a show have really helped garner the community that keeps The Smell operating. Without its weekly residents who volunteer for the fun of it, and the many newcomers who are invited through word of mouth and further drawn in by its endearingly chaotic atmosphere, The Smell would simply cease to exist. Its open community, particularly its lack of age discrimination and inclusion of women and minorities, brings together a whole array of individuals every single night — many of which would never have the opportunity to meet otherwise, but have found solace in the literal hole-in-the-wall that is The Smell. Although Mabuhay Gardens closed many years before I was even born, and thus I never witnessed its community first-hand, I can’t help but feel that The Smell (despite bearing many similarities to Mabuhay) has proven to be a safer and stronger DIY hub. The Smell has a strict no alcohol policy, so the only thing you can find for sale within its premises is snacks (many of which, nowadays, are vegan). And with its support based entirely in volunteer work and the dedication of its expansive network (through donations and other acts of charity), there is greater respect for the venue space and for all those who pass through its doors. In this sense, The Smell is a DIY venue that you can tell your parents about. It’s a place inhabited by, over anything else, music lovers — those who want to perform, and those who want to listen. People who want to see the DIY music scene thrive in Los Angeles. Intolerance is not accepted, violence is not endorsed, and everyone’s biases seem to be set aside in an effort to just enjoy the company of the many people around them. The first time I went to The Smell, I was 15. I had heard about it from a friend, and spent months looking through google images of the venue, wishing I had the means to check it out. I was simply too intimidated by its existence, fearing what my parents would think if they knew I’d be at a place — doesn’t matter what kind of place — called The Smell. It seemed intentionally off-putting, a location meant to scare authorities. So finally my friend, who was my age but had gone countless times before me, decided to take me to a show at The Smell with a lineup dominated by her own peers. In the car ride there, her and her friends joked about which familiar faces they would see that night, recounting stories from past weekends spent at The Smell and filling me in on the types of bands that would be performing. For them, this was just another night. It was another evening spent watching their peers perform, singing along to all the songs, and catching up with friends in the dingy alleyway just outside The Smell’s entrance. I spent majority of that night taking pictures in the infamous graffiti covered bathroom, excited to finally have a photo of my own that matched the many found on a quick google search. I also followed my friend around, meeting everyone she knew who turned up to The Smell that night — we all sat around outside in the alleyway (which, to no one’s surprise, always smells strongly of urine) and talked. There was a man who would walk around the alleyway every once in a while, weaving through the groups of teenagers crouching on the pavement, reminding us when the next act was up. Everyone there was shocked it was my first time at the venue, begrudgingly joking that they almost felt obligated to swing by every weekend. I was completely in awe by how cool these kids were. They were my age, maybe a year older or younger, and seemed to be so confident in who they were. They dressed how they wanted, moshed and danced however much they wanted, and came back night after night to support all their high school friends who played The Smell. Furthermore, I was pleasantly surprised by how supportive the community was, and how unimportant drugs and violence was to the overall scene as a whole. Music was what dominated. All conventional notions of the DIY punk seemed to be broken down in a unique way at The Smell, where kids could be themselves and scream about whatever they wanted, but the culture didn’t rely on substance abuse or excessive aggression. This kept me coming back — I felt like I could be myself, and I also felt safe. Since my first time going to The Smell, I quickly learned that various different communities inhabited its space. I, for one, followed all the other high schoolers, and discovered that The Smell was the main outlet for several underground record labels started by LA locals who were barely older than myself. In my immediate sphere, two DIY labels called Danger Collective and Penniback Records dominated The Smell, throwing the best shows with the biggest turnouts. Comprised of bands I had the opportunity to hang out with in The Smell’s alleyway countless times in the past, I started following these record labels around, hearing about their DIY events through unconventional platforms. By my senior year of high school, I always found myself back at The Smell for majority of these shows, content that I had tapped into such a unique social sphere. Between the ages of 15–18, I nestled my way into The Smell’s overarching community; I grew up alongside these particular record labels, witnessing them expand, throw even bigger shows, book even bigger venues, and sell their own merchandise. These underground record labels, particular Danger Collective and Penniback Records, were thriving all thanks to The Smell. And I was lucky to have witnessed this progression. I never got the chance to meet Jim Smith, but on May 28th, 2016, he took to social media and posted a photo of a demolition notice. An application was filed with the Department of Building & Safety to demolish The Smell. The small blue notice, posted just outside The Smell’s doors, simply classified the venue as a “one-story building.” This brief description of The Smell failed to encompass the rich history of the DIY space, its many dedicated fans, and all the lives it helped change. Unsurprisingly, members of The Smell’s community (and its 21k + followers on instagram) took to various social media platforms to express their extreme sadness and discontent with the sudden and untimely end of The Smell. After so much agency on part of the DIY community to keep The Smell thriving throughout the decades, all it took was an outside force with the funds necessary to buy out the entire lot and make extensive plans to transform the land into a parking unit. With very short notice, The Smell was effectively devalued into nothing but a “one-story building” with several months left on its lease. The community of the LA underground has congregated and is taking action. This is the continuance of our movement to keep the spirit of the most prominent cultural landmark of the DIY scene alive for the future generations to come. Headliners of the festival, including acts like LA natives No Age and Audacity, were bands who owed The Smell for their debut. This was their way of giving back, raising money, and attempting to find a new location for their DIY haven. Thousands of individuals showed up, with all different connections to the infamous venue — whether they be curious onlookers, teenagers like myself who met many friends at The Smell, or devoted members of Jim Smith’s community. Screenshot of a Smell Benefit Show event page, hosted by Penniback Records. Labels such as Penniback Records held many Smell Benefit shows in the following months, with all proceeds going towards “saving The Smell.” At these Smell benefit shows, it became custom for the bands playing to say a few words about The Smell before their set began — particularly how its existence changed their life. In this sense, the legacy of The Smell extended beyond its physical location — albeit a notable space crowded with local art, graffiti, zines — and helped spearhead a whole DIY movement. V. Vale spoke about the need for a physical space to house DIY movements. But The Smell has surpassed this need. Sure, it received notice that its lease would be terminated, and with that comes the literal death of THE Smell. But its community — the many musicians, artists, and music lovers alike — have all banded together in a countercultural revolution, one which knows no (brick) walls or boundaries. Sure, it won’t be the same dingy alleyway that smells strongly of urine. Sure, it may not have the same bathrooms covered in layers of graffiti. But The Smell is more than its location, unlike the Mabuhay Gardens, which faced its demise after the gradual disinterest of its members. The Smell’s ethos will remain alive and well despite its demolition, carried by the many individuals who have passed through its doors throughout the years, championing a long-lasting DIY spirit that will keep the LA underground thriving despite its many setbacks.